CORN CHAMOMILE seeds (anthemsis arvensis) from Wildflowers UK. Corn Chamomile -anthemsis arvensis– is a very useful cornfield annual plant that forms the basis of a cornfield meadow. Plants have strong stems and when grown densely, provide support for other cornfield plants with weaker stems such as Cornflowers and Poppies. The brilliant white daisy-like flowers also provide a perfect background for the vibrant reds, blues, pinks and yellows of other cornfield annuals. Corn Chamomile grows well on a wide variety of soil but need plenty of sunlight. Flowers appear mainly in June and July and will provide a valuable nectar source for bees. Corn Chamomile looks best growing with annual wildflowers such as Corn Marigolds, Corncockles, Cornflowers and Corn Poppies. Corn Chamomile seeds should be sown in spring or autumn, directly outside, where they are to flower. Seeds should always be sown onto bare, well prepared soil where they will normally germinate readily. 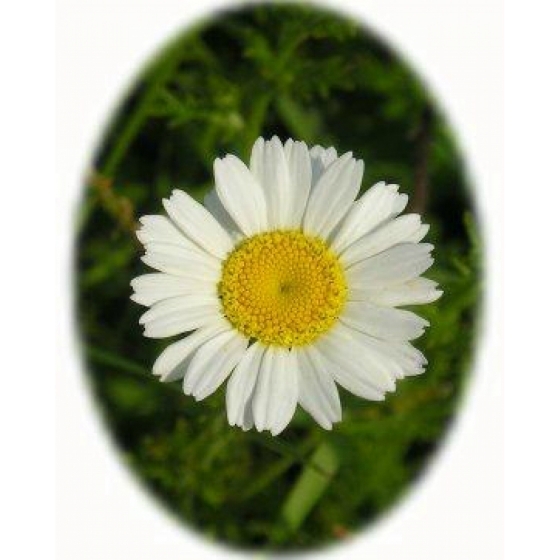 To purchase Corn Chamomile seeds, please select a quantity above and click add to cart. To ensure the best chance of success, we sell all of our wildflower seeds by weight, which ensures each wildflower seed packet contains a good quantity of seeds. 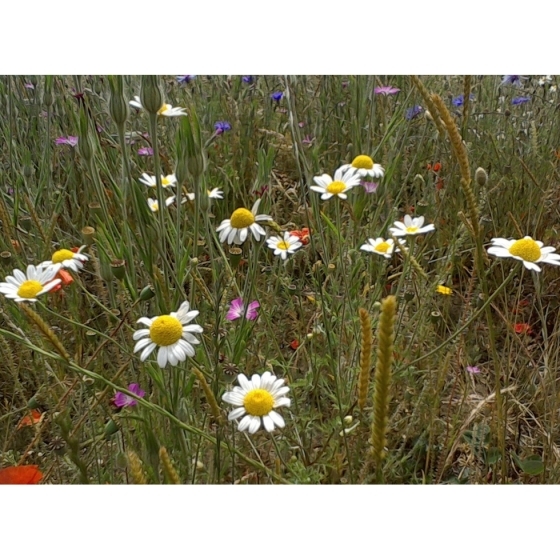 The recommended sowing rate is 1 gram per square metre, and the number of Corn Chamomile seeds per gram is approx. 5000. All of our Wildflower seed packets contain seeds of Native British provenance.